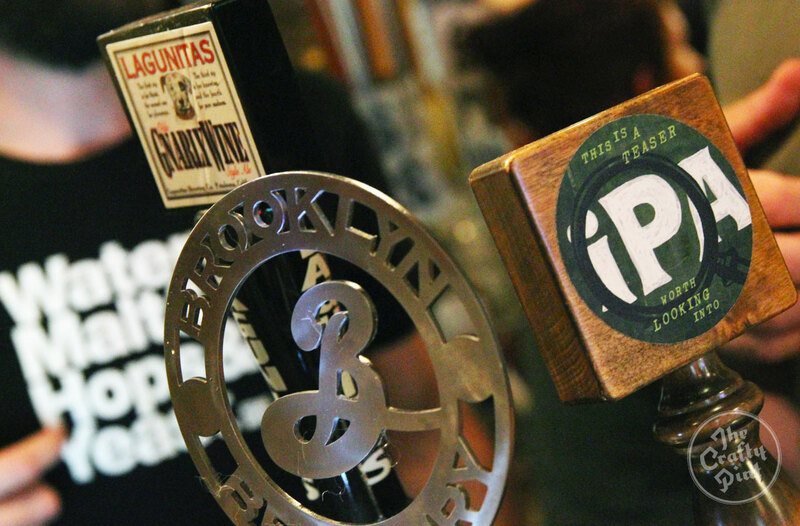 Australia is set to welcome its first IPA only brewing company. And it's one that comes with quite the pedigree. 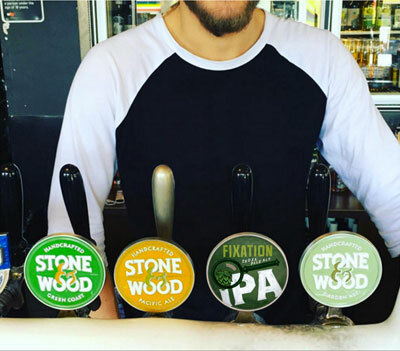 Fixation Brewing Co will launch a West Coast IPA in a handle of venues between Byron Bay and Noosa and in inner Melbourne next week and has pledged that all future releases will be variants on the India Pale Ale style too. 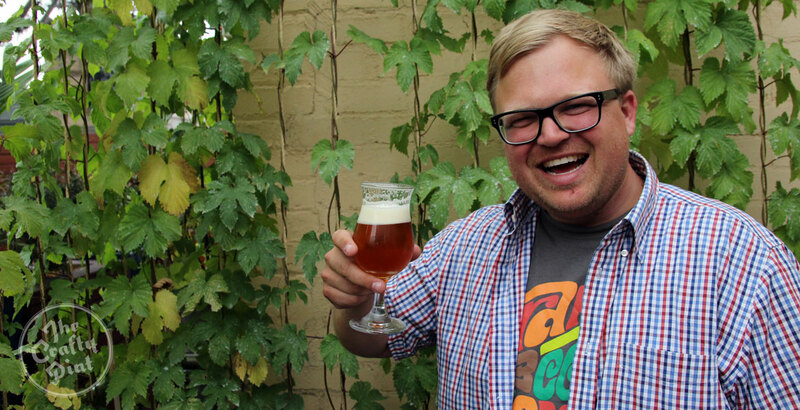 It's a joint venture between the Stone & Wood Group and Tom Delmont (pictured above), an IPA obsessive who is one of the best loved figures in the Melbourne beer scene. Tom was Mountain Goat's first "On Road Goat" and, for many in the city's beer scene, along with founders Cam Hines and Dave Bonighton he was the face of the brewery. Indeed, last year he became the first non-brewing staff member to release a beer as part of the Goat's In Breed program. The Delmont was, of course, a West Coast IPA. Fixation's first beer – other than the "This Is A Teaser IPA" pilot (pictured below) you may have spied in a handful of venues already – is a 6.4 percent ABV, 65 IBU hop bomb featuring American hops Simcoe, Citra, Mosaic, and Amarillo added at pretty much every stage they can be. It's the start of a mission to bring to Australians – as fresh as possible – the pungent and juicy American style IPAs the Stone & Wood founding trio and Tom have enjoyed on numerous trips to the US. While golden and pale ales remain by far the biggest sector in the Australian craft beer industry today, in the States the rise of IPA has been nothing short of phenomenal and Fixation is betting on such popularity making its way to Australia. "There's room in the market now for this style of beer, " says Tom. "And we won't just make one IPA. There will be others down the track, but first we're starting really small with just a few key venues. "We're not trying to take over the world, just making sure people can get a great West Coast IPA in some great venues in Australia." Of course, Fixation's beer is far from the first American style IPA to be launched in Australia. There are plenty of notable examples out there, from the likes of Riverside, Hawkers, Feral, Mornington Peninsula, Pirate Life, Little Brewing, Holgate Brewhouse, Bridge Road, Kaiju! and Grifter Brewing Co. Yet, with Mountain Goat having abandoned the IPA in its core range prior to the sale to Asahi and Little Creatures' IPA not yet achieving the cut through they might have hoped for, it remains – on a broader scale, at least – a relatively untapped area. So, while the talk at Fixation is of starting small and slow, the pedigree and reach of those involved would suggest it could grow into something of a leader, just as Pacific Ale has inspired many others in recent years. What's more, not only does Fixation come with a great pedigree – the most successful independent Australian craft brewery in cahoots with a larger-than-life rep who was in demand from breweries all over Australia as soon as Mountain Goat sold – but it also appears to be a case of the planets aligning. "I was on a road trip with my family and part of that was a week in Byron Bay," says Tom. "I went to the brewery to buy a case of beer and walked in the wrong door, into the office where [owners] Jamie [Cook] and Ross [Jurisich] were sitting. "I hadn't expected to find them there – in fact, it was rare for them both to be there – but we got chatting about how craft breweries get beer into people's hands, had a couple of beers and they sent me away with a couple of cases. "Two weeks later, I'm standing on a beach south of Sydney and got a message from Cam asking me to call him ASAP as he'd got 'some rather large news'. Within about five seconds of calling him I was devastated." With independence being at the heart of what he believes craft beer to be, his Goat dream was over in an instant, even though he was the last of their four Victorian-based reps to leave in the weeks following the sale. However, what he hadn't known when he'd bumped into Ross and Jamie was that they, along with co-founder and head brewer Brad Rogers, had been chatting about an IPA project for some months. On an extended trip to American early in 2015, they'd come to appreciate how much character was lost by the time American brewed IPAs arrived on Australian shores. At the same time, what Ross and Jamie hadn't known when Tom burst into their office with his uncle was that one of the country's best beer reps and a genuine West Coast IPA obsessive was soon to be looking for employment with an independent brewery. Thus, several weeks after the call that had left him stunned and heartbroken, Tom was in a position he describes as "absolutely amazing" and Stone & Wood had joined forces with possibly the most ideal person in Australia they could wish for as an ambassador for IPA. "We were a fair way down the path," says Jamie of the turn of events, "and on the lookout for someone we could partner with to front it. Tom dropped into the brewery in Byron whilst he was on holidays a few months back, and then only a few weeks later the news of the Mountain Goat sale hit... It all just serendipitously rolled together really. "The timing was perfect, and we moved pretty quick to get Tom across everything we had worked up, and the timing was just right for him to put the finishing touches on the formulation, the branding, the roll out plan and so on." As for why a new brewing company was formed, rather than releasing a Stone & Wood IPA, Jamie says: "Stone & Wood is not about that style of beer. "For this opportunity we think it's best to have a business and a brand focused on one style, not a brewery that is already doing a lot of other beers and then just spits out an IPA as part of its range." 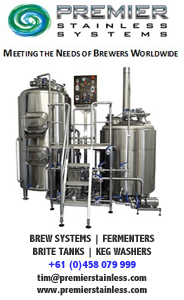 It means that, while Fixation is a separate entity from Stone & Wood Brewing, it retains the ethos of doing things slowly. The IPA will only be pouring at a small number of carefully selected venues (details to follow next week), with the intention being to build an audience gradually and ensure that the beer reaches customers as fresh as possible. Tom will be Mr Fixation, travelling to Byron Bay on brew days, while the new Stone & Wood Group sales and distribution arm Square Keg will sell the beer. Says Tom of his new adventure: "There were some fantastic options on the table, but this one stood out as being the right guys and the right kind of beer that I love. The timing was everything. "Now I've got an IPA coming out of one of the best breweries in the country, working with good guys with a good operation, great knowledge and great access to hops." In terms of his own fixation with hops, Tom says he remembers drinking a Beast from Jamieson Brewery at The Royston, back in around 2004/5. "We'd never had anything like it," he says. "Even though it was quite a malty version of the style. "Then there was Murray's Icon [a double IPA]. We drank as much as we could afford, buying the large cork and cage bottles before it came out in stubbies. Then, in 2010, I went with [now Brooklyn Ambassador] Miro Bellini and Barney Matthews [ex Beer DeLuxe and Matilda Bay and now with Brewmanity] and visited dozens of breweries in the USA. We lined up visits to most of the breweries beforehand and got royal treatment at most of them. "One of the first stops was San Diego. We drank fresh Ballast Point, fresh Stone and fresh Green Flash. And Green Flash West Coast IPA changed my life." Five years on, as Fixation Brewing Co launches, he'll be hoping to change drinkers' lives via the magic of hops rather closer to home. Tap outlets will be listed here and on the Fixation website once kegs are filled next week. The beer will appear in 330ml four-packs some time in 2016.